Score super savings with Schlitterbahn discount tickets. The reduced-price passes allow you and your family to visit the popular water parks without breaking the bank. Regarded as the best group of water parks in North America, it's no surprise that families regularly flock to Schlitterbahn each year, especially during the summer months. After all, there's no better way to cool off on a scorching hot day than to charge down one of the park's many water slides or splash around in Schlitterbahn's signature pools. Schlitterbahn offers kids of all ages the chance to dive into good clean fun. However, the splashtastic adventures come with a relatively steep price tag. Fortunately, there are ways to save on your Schlitterbahn visit. Scooping up Schlitterbahn discount tickets will help you preserve your bank account while you play the day away among world class water attractions. Schlitterbahn offers discount tickets to water parks guests who purchase tickets at the company's website in advance of their visit. You can typically net a five dollar savings by purchasing online tickets instead of paying in person at the gate. What's more, for the 2011 season Schlitterbahn is offering discount tickets that include a souvenir cup and free refills, which adds up to even more savings. If you plan to visit Schlitterbahn more than once during the season, then opt for cost-effective season passes. These discount tickets can bring the price of admission down to nearly a dollar a visit depending on how often you splash at Schlitterbahn. If you are planning to visit Schlitterbahn with a group of 15 or more people you may qualify for a group discount. These discount tickets are available without a reservation on the day of your visit. However, the park will award you with even cheaper admission if you purchase group tickets in advance of your visit. These savings are a huge money-saver for school and church groups, as well as large families and companies. Celebrating a birthday at Schlitterbahn allows you access to heavily discounted tickets. The park offers two amazing birthday programs, both of which feature deeply discounted tickets for the birthday guest and his or her family members and friends. 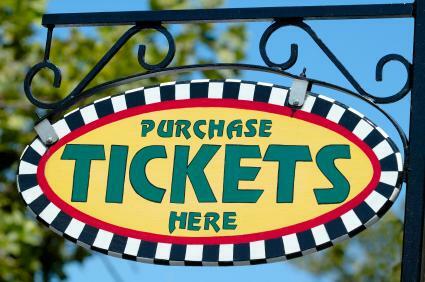 Large online coupon sites are also prime spots for scoring discount tickets. You can get coupon codes and printable coupons for discount tickets to the popular water parks on sites such as RetailMeNot.com and Tjoos.com. Other ways to gain admission to Schlitterbahn without draining your wallet is to look for coupons and discounts in local tourist guides and brochures that are distributed to businesses and hotels located near the parks. Finally, look on eBay. The online auction website regularly features discounted Schlitterbahn tickets, though you should make sure you are dealing with reputable eBay sellers that have excellent profiles before buying.